The photo was shot using a Panasonic DMC-TZ10 camera at an aperture of f/4, 1/400 sec. shutter speed and ISO 80. Flash did not fire, auto mode. The original image file has a resolution of 4000 x 3000 pixels, or in other words 12.0 megapixels.The photo has a resolution of 180 DPI and occupies a disk space of 4.77 megabytes. According to the image metadata, the photo was shot on Monday 15th of February 2016. The local time was 15:14:06. The timezone was Asia / Kathmandu, which is GMT +05:45. Please note that timezone was guessed using the GPS coordinates and may not be accurate. The EXIF timestamp may also be wrong if the date and time weren't set correctly in the digital camera. Panasonic DMC-TZ10 camera has a built-in GPS receiver and allows geotagging on image files. The coordinates and location where the photo was taken is stored in the EXIF. According to GPS data analysis, the photo was taken at coordinates 27° 10' 40.03" N , 78° 1' 21.89" E. The elevation was 0 meters. 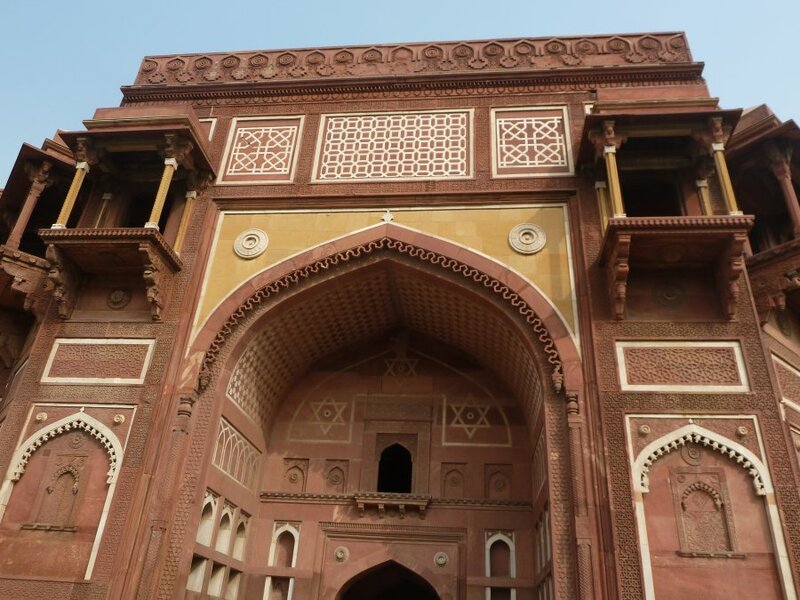 Using reverse geocoding, the address associated with the coordinates is guessed as Musamman Burj, SH 62, Agra Fort, Rakabganj, Agra, Uttar Pradesh 282003, India. Depending on the GPS receiver and the reception conditions the accuracy may vary and the address should not be regarded as exact location.